Many years ago, while in a full time relationship, working a job I hated but needed, and helping to raise my sister’s eldest son, who was twelve, I took a year off from work to recoup from, well, all of that, and began to study and practice seriously as a Pagan. I took that opportunity to study a set of ancient symbols which had always fascinated me, the Runes. What I learned about ancient magical ideas, Icelandic, Norse, German, and Anglo Saxon ancient cultures, the appropriation of the Elder Futhark (a set of runes originated by some Teutonic tribes in the area of Germany) into the Nazi regime and symbolism, were all fodder for my creative mind. I found that Futhark stood for the first 6 runes in that system, (Fehu, Uruz, Thurisaz, Ansuz, Raido, Kenaz) just as Alphabet stands for the first two Greek characters that now make up our alphabet (Alpha Beta). I also learned that the generous images needed to be grounded in my own experiences, culture, language, and time. To that end, I began to write some single stanza poems about each of the 24 Runes. My plan has always been to create some sort of collection with them. My question about it has always been, does the poetry translate for anyone but me? 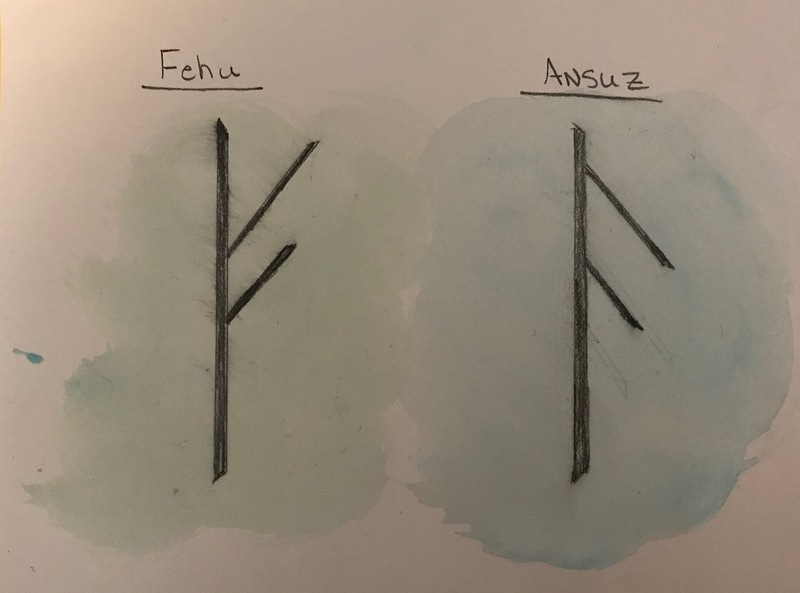 Here are two of the first poems – not necessarily in the order in which they come in the Futhark – “Fehu,” which stands for “cattle or prosperity”, and Ansuz, which stands for “God or Word of God”. Just to feel your slick tongue seeking. Are still wet with dew, and my head is full of dreams. Moth of words, wisdom of the Wyrd. Inside that hole, we part, Grandmother. With eternal flame, sets them deep beneath my own skin. I will leave rest of this poem where it is (inside of the Birchsong collection) so you can read that when you grab yourself a copy of it from Northshire Books. or listen to it on April 14th, when I will be reading at the launch, at Northshire, in Manchester, VT.